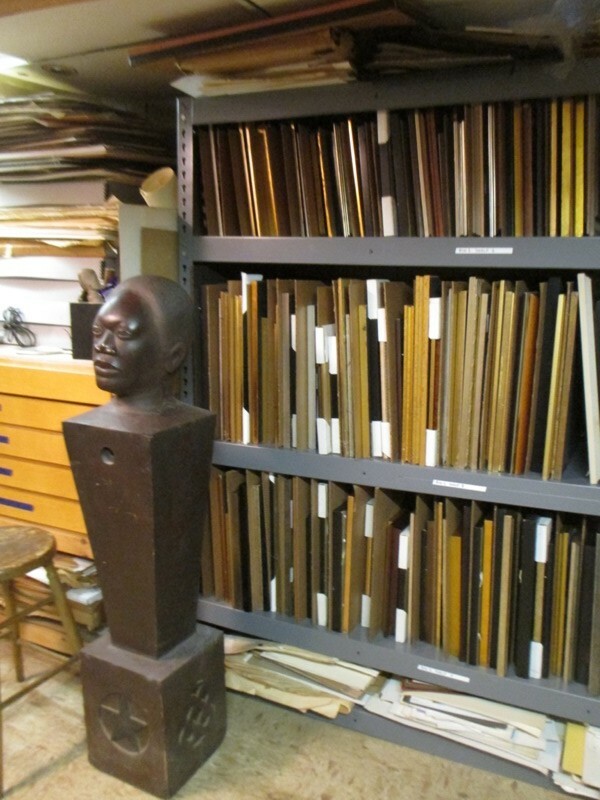 Here we’ve gathered some ideas and examples of real-life storage solutions in various artist’s studios. 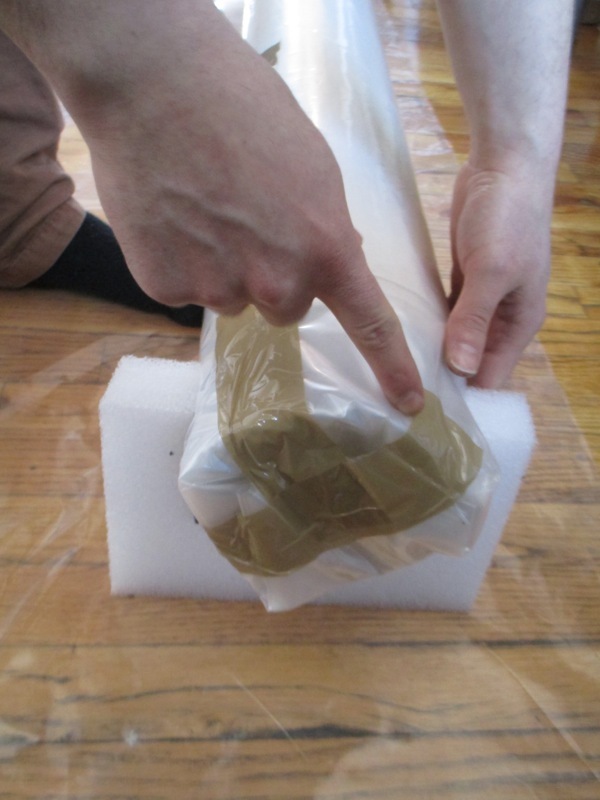 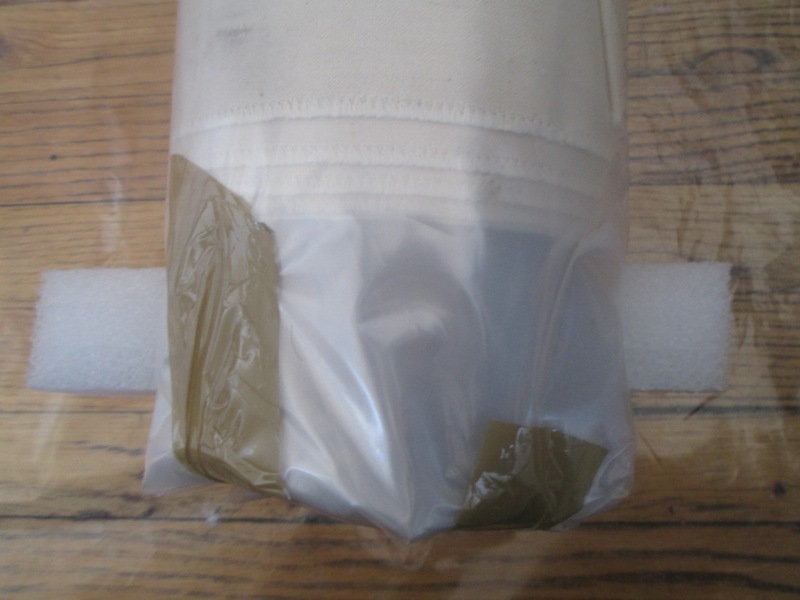 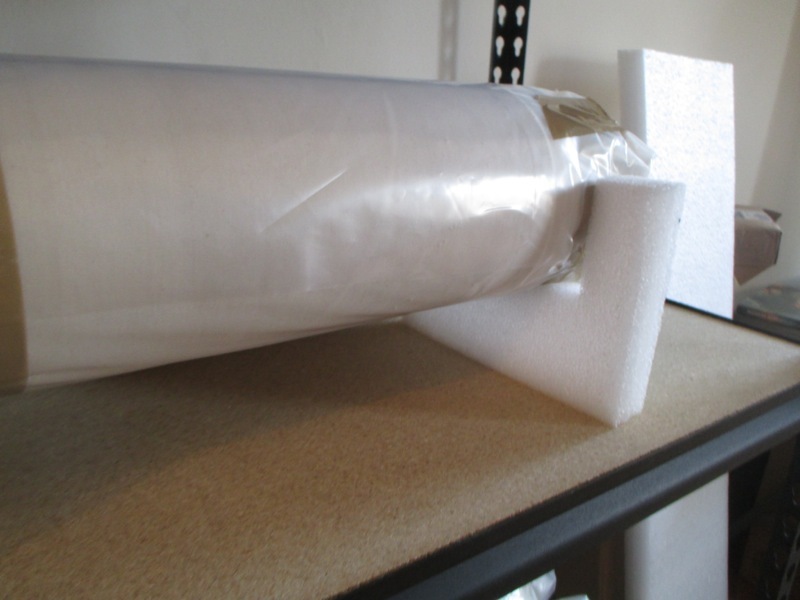 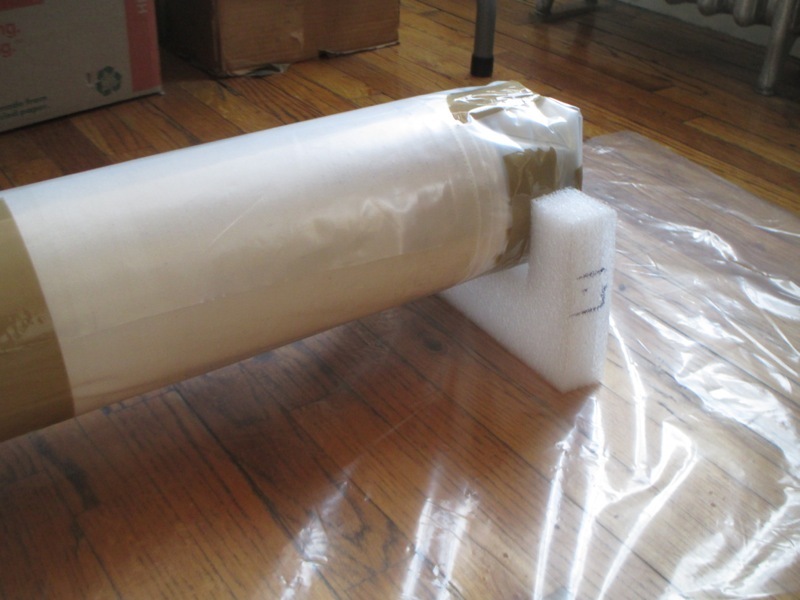 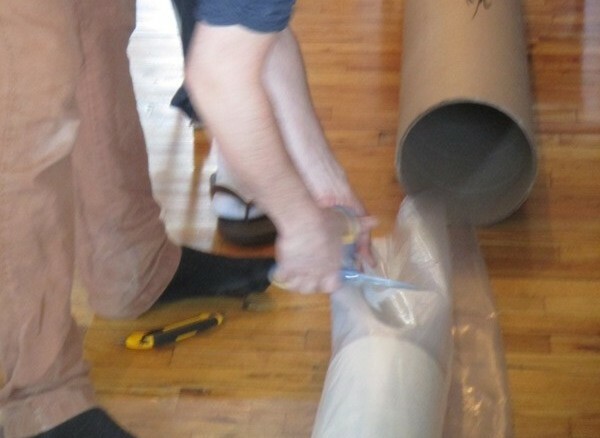 Rolling a canvas around a rigid tube lined with plastic can protect and stabilize a canvas without a space-consuming stretcher. 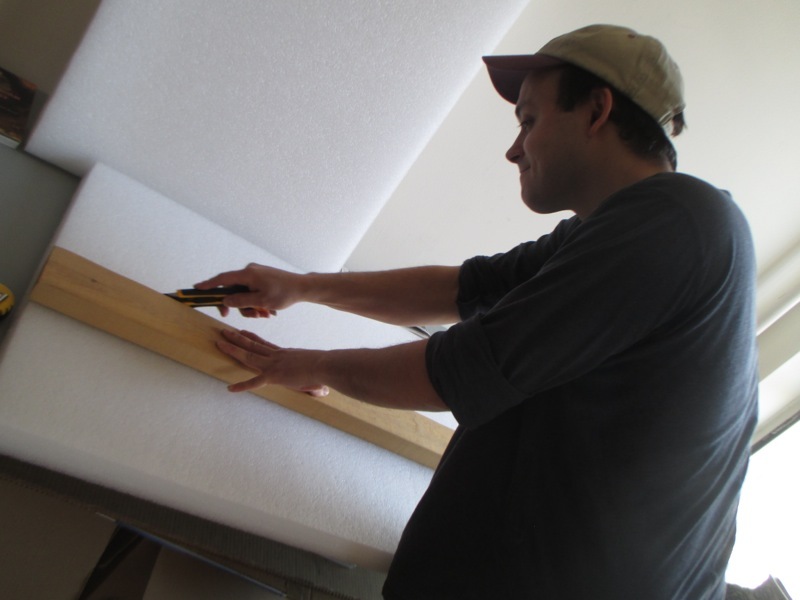 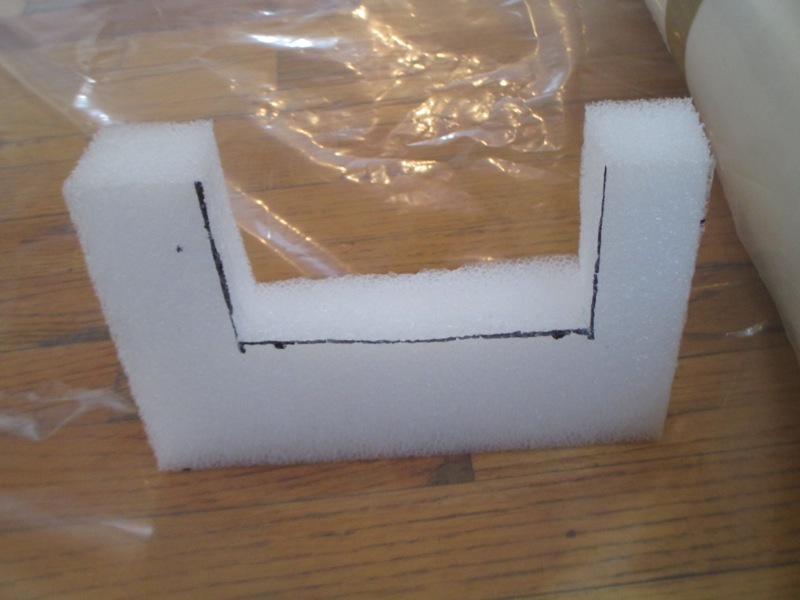 Foam blocks further protect by cushioning the canvas where the weight is resting. 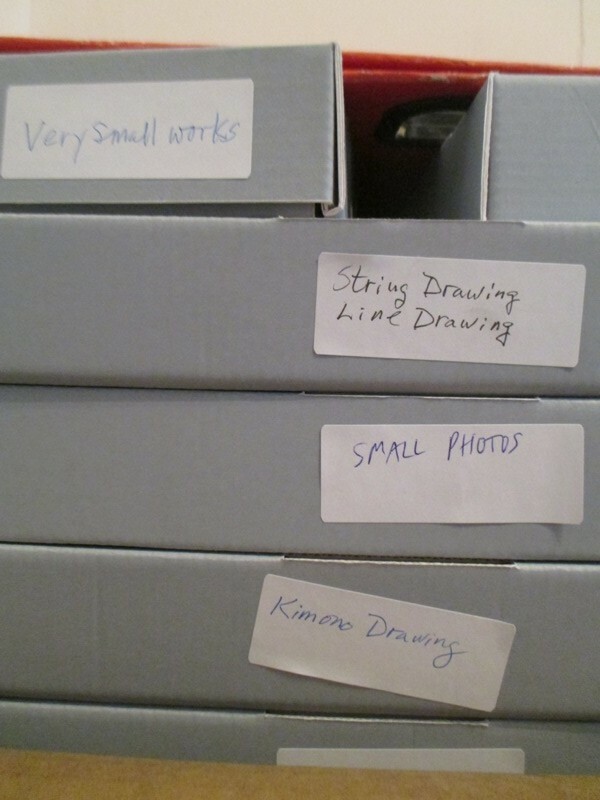 Dedicating a shelf and boxes for works-in-progress is another strategy for maintaining an organized work space. 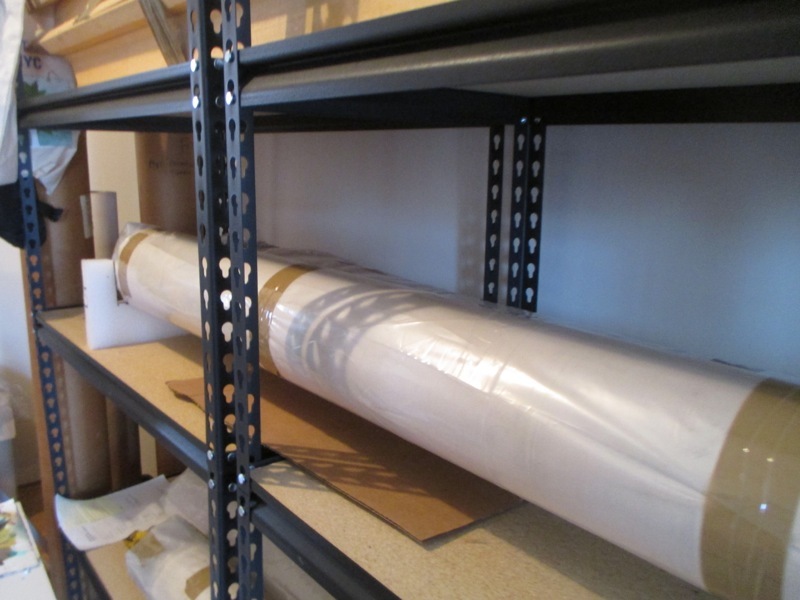 Shelving small and medium sized framed work between pieces of cardboard can be a practical solution to handling large quantities of framed works. 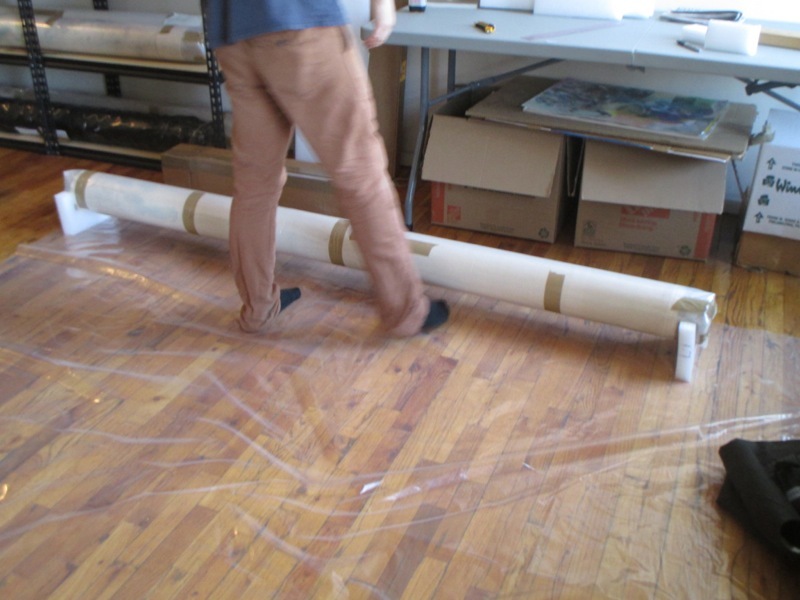 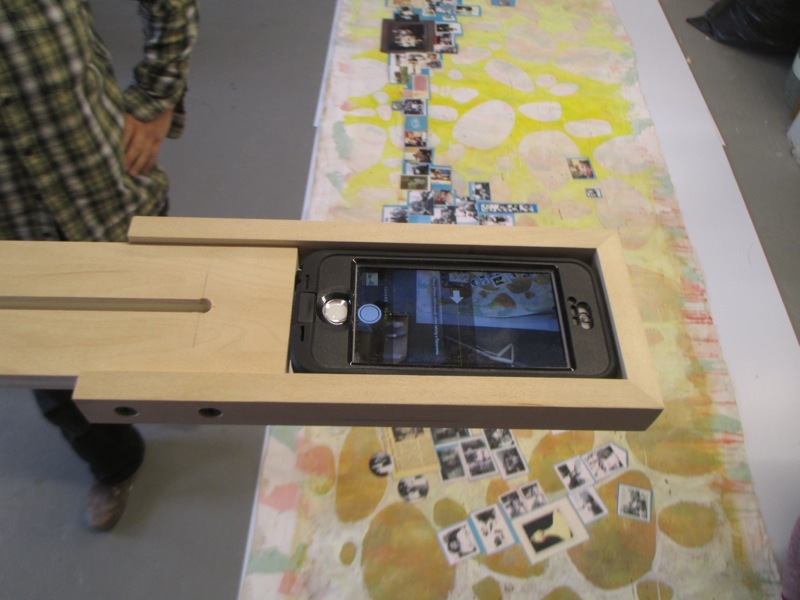 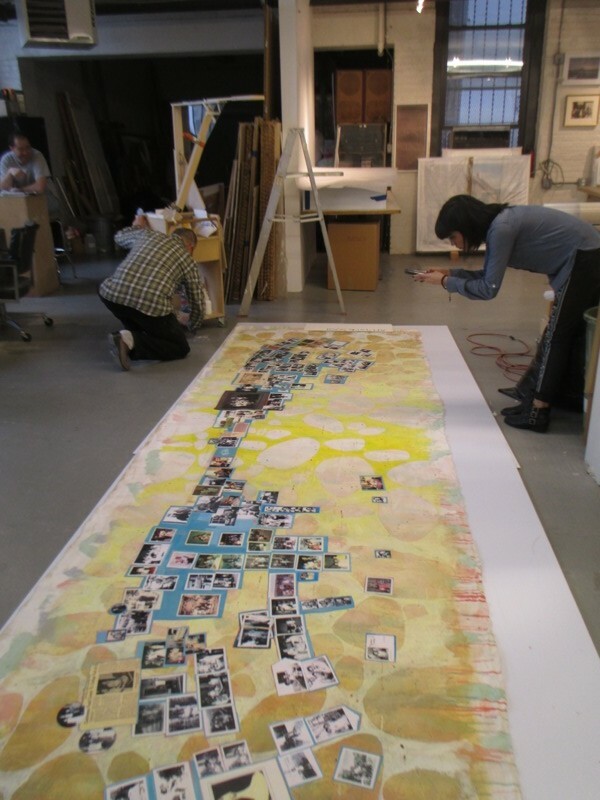 Tubes can be an alternative to a flatfile for storing oversized works on paper such as sketches, posters and prints. 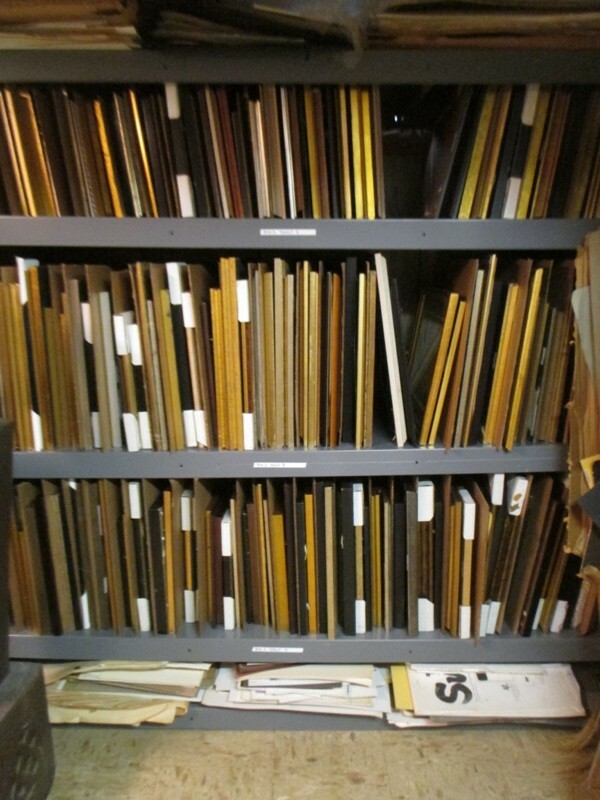 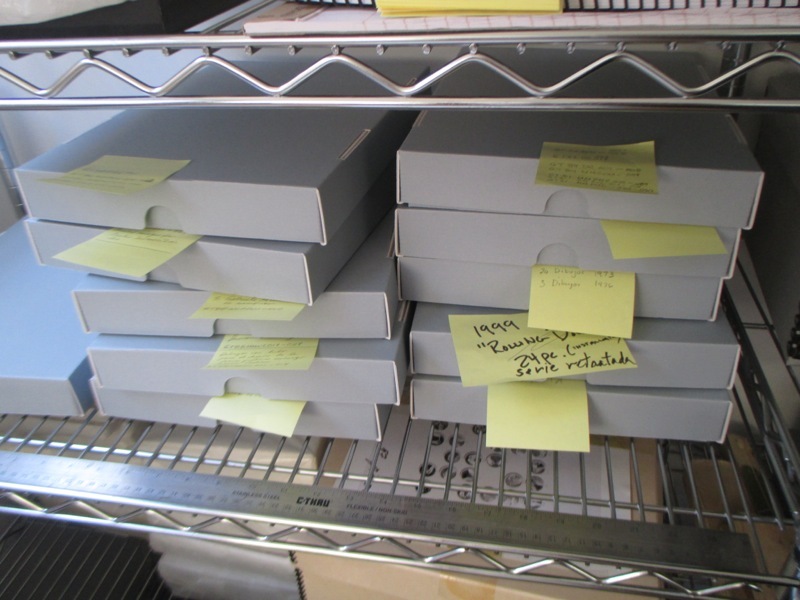 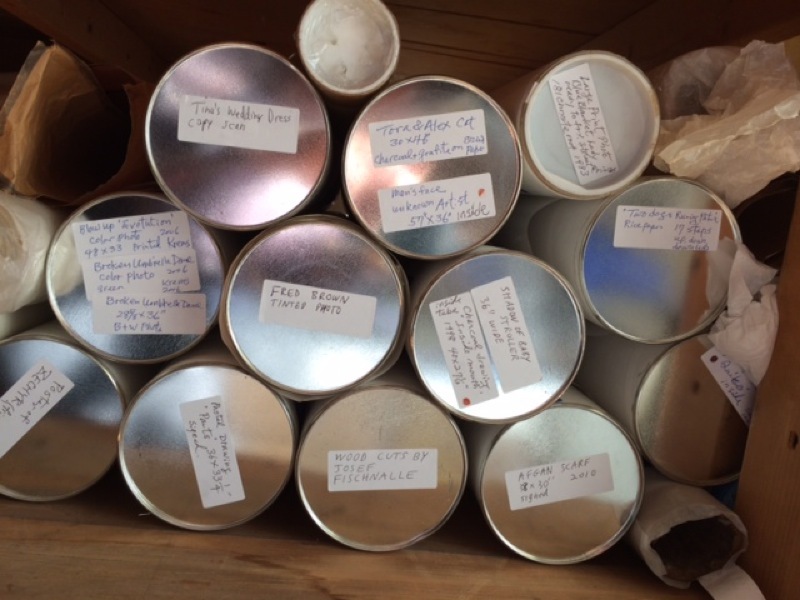 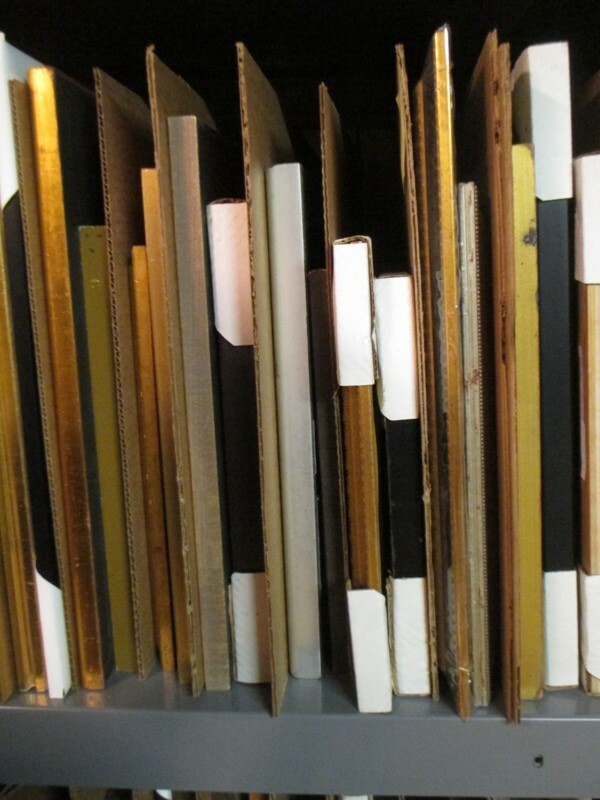 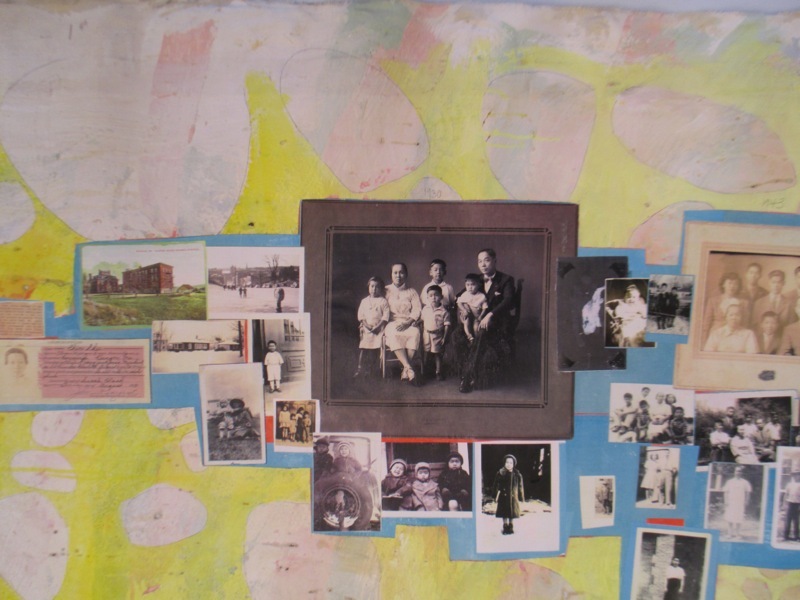 Using archival boxes with labels organizes and protects flat and 2-dimensional works in progress. 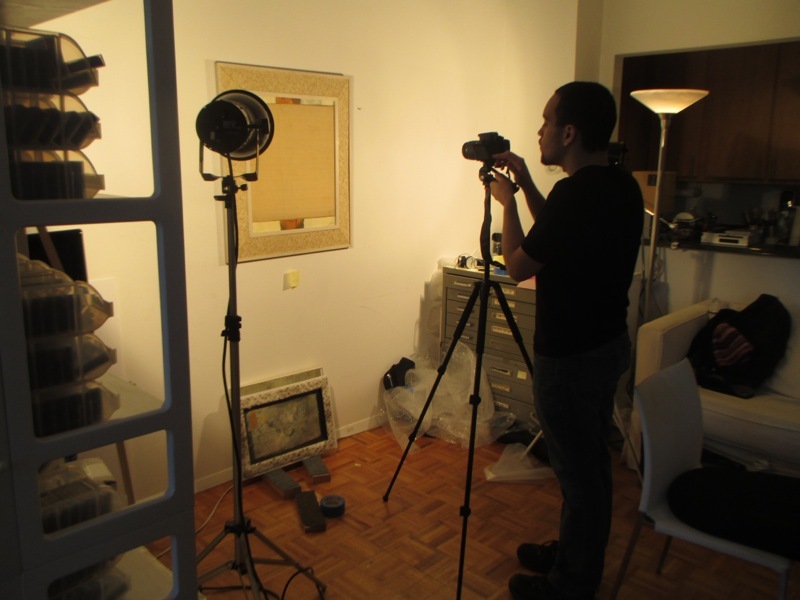 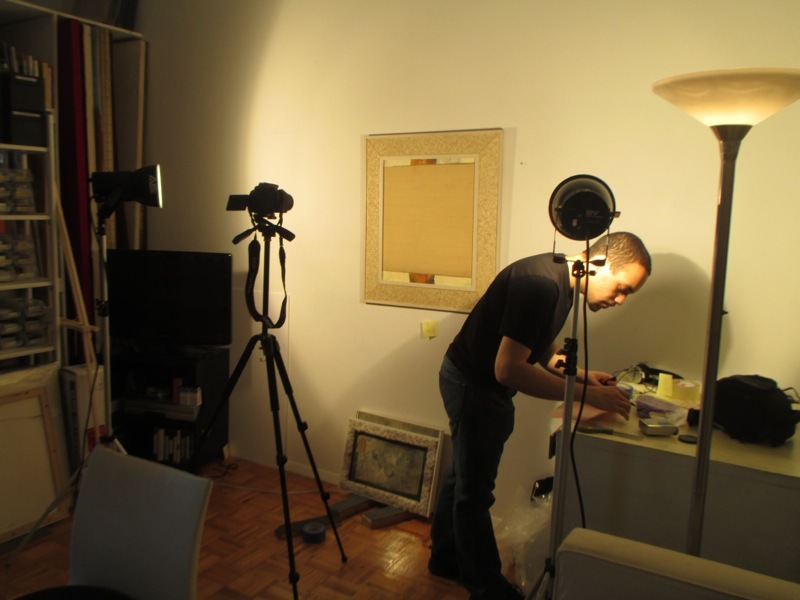 Identify a section in your space for photo documentation. 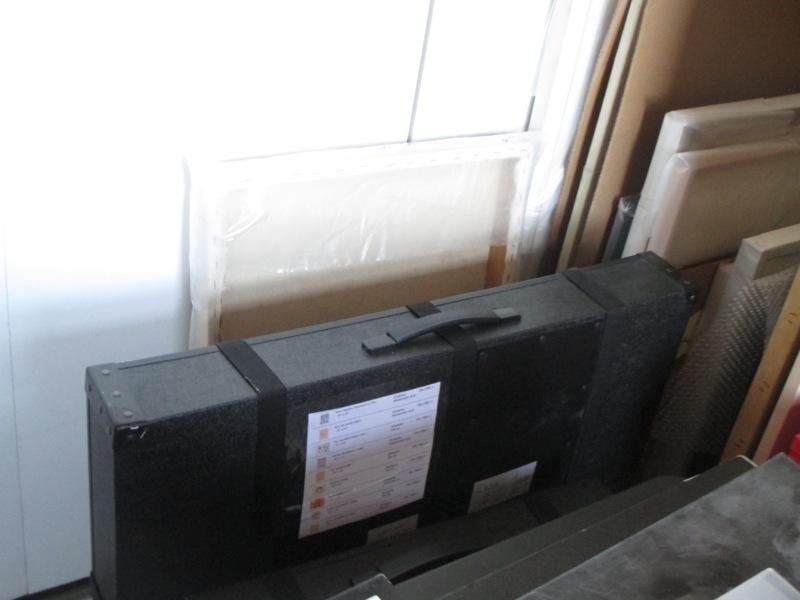 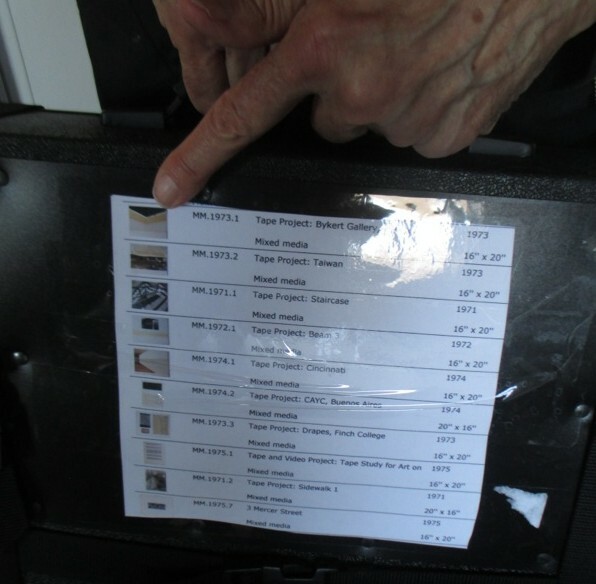 Attach an inventory label to storage cases such as archival boxes, flatfiles and portfolios. 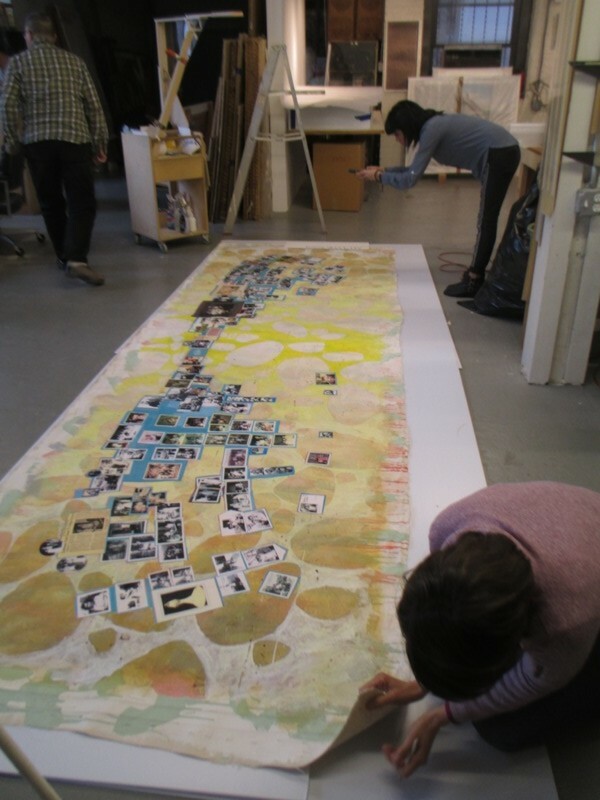 Documenting large-scale work with an iPhone before wrapping and storing can be a great tool to include in your condition reports.